Queer. Autistic. Mother of Doggos. I’d never been to a burial before. I’d been to funerals before – hell, this was my second one this week. But every funeral save one had been a cremation, the final moment of goodbye in the gentle closing of the curtains; the only funeral I’d ever attended that had ended in a burial, I was an incredibly emotionally vulnerable fourteen year old and so had skipped on the burial portion. But now I was an adult. And no amount of ‘but…autism!’ was going to erase the duty I felt in myself to be there for my dad and the rest of my family. I’d been dreading it. I couldn’t think of anything more macabre or upsetting than being by that graveside. But, as I was actually standing there, clinging to my dad’s arm as he cried quietly, I realised that I was finding it…well…fascinating. Is that the most stereotypically autistic thing I’ve very written? I wondered – more accurately, I fretted – whether this made me a terrible person. Because seriously, Erin? You’re at your nan’s burial, your family is heartbroken, and that’s the word that comes to mind? What kind of soulless, empathy-lacking weirdo are you? The thing is, I felt other things too. I felt sad that this was happening. I felt compassionate for my grieving family members. I felt gutted by the permanence of it. I cried. A lot. But it would be a lie to try and pretend that my innate interest and fascination with the process wasn’t there. Maybe this was partially because I wasn’t close to my nan. And that isn’t to be unkind or insensitive in any way. It’s just the truth. The people surrounding me had a much closer emotional connection with my nan – that’s the way it had always been. So maybe that’s what allowed that sense of fascination to shine through. But I have to be honest with myself. I’ve always been like this. When my other nan, who I was much closer to, had the curtains drawn across her coffin at the end of her funeral, a part of me that longed to know and even visualise the cremation process poked through the grief and devastation. I think it’s the same part of me that couldn’t work the gears when I was learning to drive (a comparison that I hope will make sense in a moment) until it was explained to me exactly what happened when I shifted the gear stick and why I had to do it. My brain wants to understand what’s going on behind the scenes. It helps me to get a handle and a grip on my surroundings, and gives me some sort of sense of self control that I often feel I don’t have. And because we live in a culture that doesn’t talk about death, that innate curiosity often circulates around it. It’s the ultimate unspoken thing, and the ultimate thing -final, unchangeable, ridiculous – that my brain wants to unpack and understand. It’s why I have whiled away time watching post-mortem photography compilations; why I have read up and up and up on tragedies with great losses of life; why I have sought out documentaries on death and dying, on the body farms (or anthropological research facilities), and on cremation; why I have the audiobook versions Caitlin Doughty’s Smoke Gets in Your Eyes: And Other Lessons from the Crematorium and From Here To Eternity: Travelling the World to Find the Good Death, as well as Mary Roach’s Stiff: The Curious Lives of Human Cadavers on a pretty much permanent loop during my commute; and why my internet search history is filled with an questions about what happens to a body in the purest biological sense when you die. Some may call it morbid curiosity. I call it logical. I didn’t understand it, I wasn’t allowed to talk about it, and so I went out of my own way to find out more. The fact that my nan, or at least her physical self, was in that box, which was in the ground, which was about to be covered and left to time, along with the flowers we each tossed in on top, was something I couldn’t stop thinking about. I couldn’t stop staring down into the grave and ruminating on those things, even as I also cried through other waves of tumultuous emotions. And I don’t think that’s unnatural, insensitive, or bad. I think it’s something I’ve allowed my mind to be opened to that other people push to the edges of their consciousness. Maybe that’s because I’m autistic, and therefore can’t filter out thoughts and emotions (like I can’t filter out sensory input), and neither do I necessarily abide by societally sanctioned norms that make no sense to me. It’s the same neurological mechanics that give me such a strong sense of fairness and justice – I see it, I don’t understand it, and I can’t be satisfied until I understand. If I’m not satisfied, I won’t just sit back and let it happen; I’ll persist in asking why, and push for it to be more logical and fair. And maybe that’s why we need more people with a different neurological perception, like me, in this world. I want to talk about death. I want to write a living will, or death plan. I want to visit the closest natural burial cemetery, walk in the grass, and decide what I want to happen. I want to think about the natural processes of decay and decomposition, of going back to the Earth, of keeping the bodies of my loved ones at home to care for, of being able to look death in the face and see it in its entirety. Because, like when I was learning to drive, if I can understand death, then maybe I have a chance to process everything else that comes with it. One of the authors mentioned here, Caitlin Doughty, runs an organisation (The Order of the Good Death) full of ‘death positive’ information and resources, as well as hosting her own YouTube channel, ‘Ask A Mortician’. Her work has become very important to me this past year, and has helped to bring me closer towards the understanding of death, and into some sort of satisfaction and comfort with the processes and realities involved. If you would like to check out her videos (she is also incredibly funny and lovely), I would suggest starting with this one. 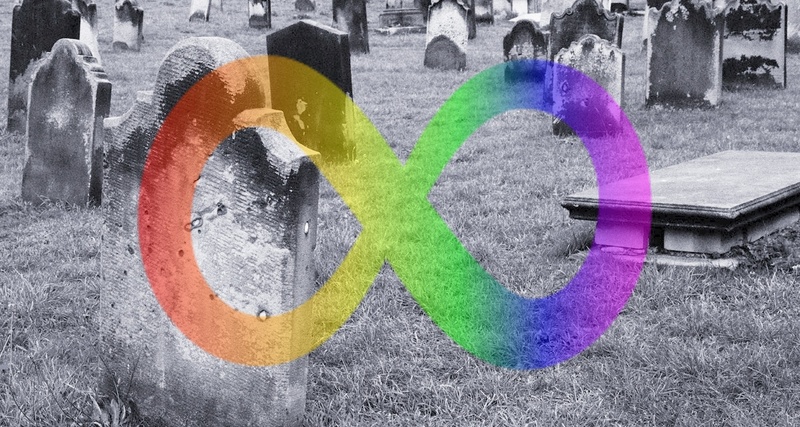 We are all future corpses, and that’s okay.